Hillsborough County is located in Central West Florida bordering the Gulf of Mexico and Tampa Bay and Pinellas, Polk, Manatee and Pasco Counties. Hillsborough County was established in 1834 and named for Wills Hills, the Earl of Hillsborough. One of Florida's best parks for dynamic biking trails is the Alafia River State Park. The park features 17 miles of bike trails that cover some of the highest elevation changes found in Florida. The park also offers at least 20 miles of trails for hikers and equestrians through pine flat wood, and with the abundance with wildlife it is also great for bird watching. The giant park is also home to a campground, playgrounds, opportunities for canoeing and fishing, and much more. Amalie Arena is located in downtown Channelside Tampa, Florida and is home to the Tampa Bay Lightning NHL team and the Tampa Bay Storm Arena Football team. The arena, originally named the Ice Palace and most recently the Tampa Bay Times Forum, hosts other events, basketball, and concerts. .
Florida State Fairgrounds Complex, located in Tampa, Florida, includes the Expo Hall, Entertainment Hall, Special Events Center, Florida Center and Botanical Gardens, Pavillion and Waterfront Cafe as well as other outdoor locations that include an Equestrian Center. Hillsborough County School District is a school district headquartered in Tampa, Florida. It is the third largest school district in Florida and the 8th largest in the United States. The district is famously known for having received recognition for being awarded 100 million dollar grant from the Bill and Melinda Gates Foundation. MacDill Air Force Base is a US Air Force base in Tampa, FL. It is home to many commands of military units from all branches of the military including the U.S. Central Command, U.S. Special Operations Command, and the 927th Air Refueling Wing. Raymond James Stadium is home to the Tampa Bay Buccaneers, the University of South Florida football, Outback Bowl and Monster Jam. 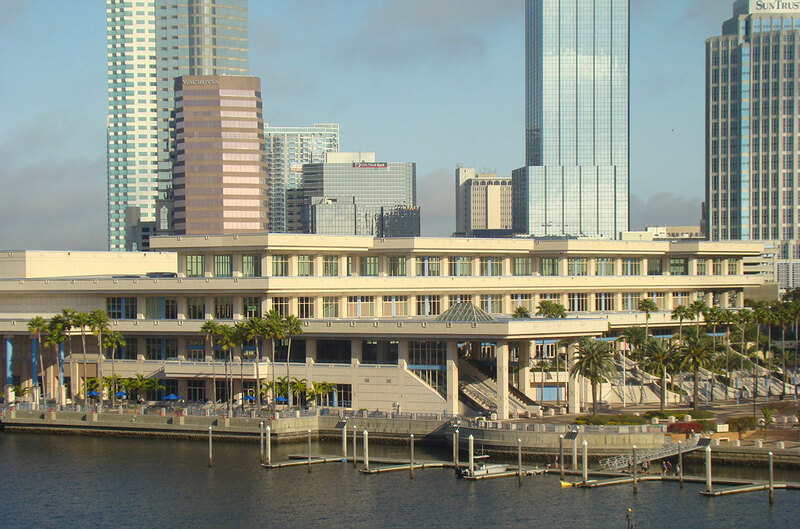 Located in Downtown Tampa Bay, and hosts to large concerts and other events and festivals. This is a local park that features three fenced in areas and has water bowls, picnic tables, and other amenities for the whole family. The Academy is a Catholic, coeducational elementary school and a college preparatory high school for young women. The American Youth Academy (AYA) is a Pre-K through 12 private school providing a safe, nurturing, and stimulating Islamic environment to produce future leaders, who will have achieved academic excellence, are morally and socially responsible citizens, and are well-equipped to interact with the community around them and the world at large. Bamboozle Cafe is an urban Vietnamese fusion restaurant. They offer an array of fresh vegan and affordable Vietnamese delicacies. Their goal is to Bamboozle their customers into healthy eating and a healthy lifestyle. Bayshore Christian School is a college preparatory, private Christian school located in the heart of Tampa, Florida serving students from age 2 through 12th grade. We provide our students an educational climate that is academically excellent and unashamedly Christian. Our faculty and staff guide students through a methodical process of learning that focuses on core knowledge enriched with the arts, technology, foreign language, and athletics. Berkeley Preparatory School is a Pre-K - Grade 12 co-educational independent, Episcopal day school located in Tampa, Florida. Berkeley educates the whole child by nurturing students’ intellectual, emotional, spiritual and physical development so they may attain their highest potential. Brandon Academy is a non-denominational school that serves the Brandon community. It remains the only school in the area accredited by the Florida Council of Independent Schools. The mission of Brandon Academy is to educate children in an environment of respect coupled with a commitment to quality education in a challenging program to prepare students to be leaders in the global community. Brandon Regional Hospital is an acute care facility offering a number of specialty services including the Heart & Vascular Center, where the latest in cardiovascular surgery and minimally invasive techniques are performed, The Behavioral Health Center, The Women’s Center, which includes their Baby Suites and 22 bed neonatal intensive care unit, The Reflux Center, and a designated Bariatric Center of Excellence. Carrollwood Day School is a PK-12 International Baccalaureate World School with a STEEM program featuring science, technology, engineering, mathematics and entrepreneurship. What is essentially a series of islands in the South Eastern region of Tampa Bay, Cockroach Bay Preserve State Park does not actually have cockroaches on the property. What early Spanish explorers called "cockroaches" were nothing more than horseshoe crabs, and at one point, there was an abundance of these little sea critters. While the islands are 617 acres, about 500 of those acres are mangrove swamp, which makes it the perfect place for fisherman and/or birdwatchers. Keep in mind the islands are only accessible by watercraft so there are no actual facilities on them. In two small creeks along the shores, canoeing and kayaking is allowed. Cooley Law School is a law school with a main campus and two side campuses in Michigan. It also has a branch in Tampa, Florida. It is a law school with accreditation from the American Bar Association. PreK3-8 school fosters a love for learning through a staff who supports what the teachers do in using a strong knowledge and research base, seeking to implement best practices in education all at once. Distasio Law Firm was founded on one simple principle. Every client deserves hands on personal service from their personal injury lawyer. Personal touch means we will take the time to fully understand your case and go the extra mile to represent you. Easterseals has the nation’s largest network of inclusive child development centers for infants through preschool (0-5 years of age). In these settings educators meet the needs of students (with and without disabilities) through the use of specialized approaches and instruction to prepare preschoolers for entry into the school system or to support current students to achieve at their highest level. Florida Autism Center of Excellence (FACE) exclusively serves children with Autism Spectrum Disorders offering educational solutions for student’s ages 3 to 22 in pre-k through 12th grade and beyond. The School focuses on teaching the academic, social, language, behavioral, vocational and life skills needed to become independent in life. FACE is available to families in Hillsborough, Pinellas, Polk, Manatee and Sarasota counties. Florida College is a college located in Temple Terrace. It teaches liberal arts programs through a biblical lens. With less than 1000 students, Florida College is a small school with a tight knit community dedicated to learning and serving God. Florida College Academy is dedicated to providing its students with a competitive education in a safe, supportive, spiritual, and stimulating environment. We strive to foster an intrinsic love of learning, the development of individual skills and talents, an awareness of the value each person has to society, and an unshakable love and respect for God. Private Jewish Community Day School where students receive a superior education enhanced by the opportunity to learn about their place in the community. 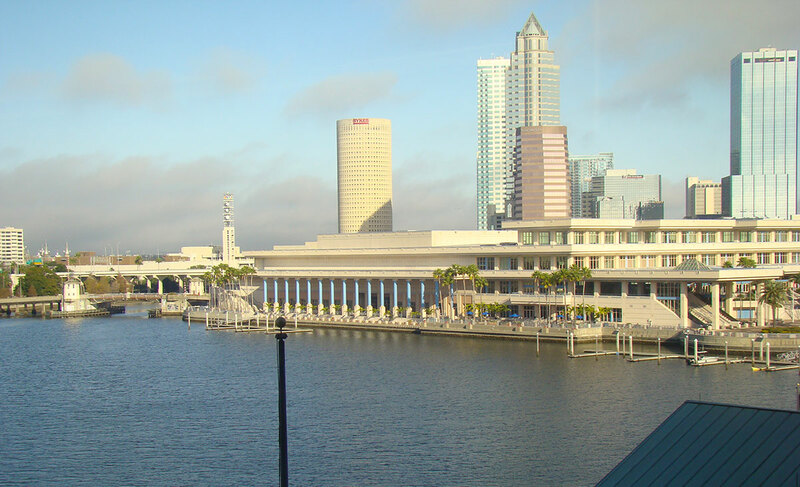 Hillsborough County has the variety you are looking for all year round with the quality and creative parks that best exemplify the culture of the Tampa Bay Area. Discover the history of Hillsborough with the Burgert Brothers Photo Collection. Take it outside and commune with the birds at the Upper Tampa Bay Park. Get of your car and step onto another four wheeled vehicle at the Providence Skate Park. Try a hand at baseball and a number of other sports activities. This group is designed to provide Catholic Homeschoolers in the Tampa Bay Area with the opportunity to participate together in group activities, exciting fieldtrips, educational experiences, developmental opportunities and service projects throughout the area. We are happy to welcome non-Catholics, but we do ask that all members respect the Catholic nature of this list. This is a Christ-centered home school support group ministering to approximately 200 families in Brandon and the Tampa Bay area. FISH offers a variety of co-ops, competitive sports, recreational sports, field trips, band, choir, chess, P.E. and much more. LIFE of Tampa is a collaborative, alternative learning group that believes Learning Is For Everyone, and should be a rich and satisfying experience that creates a never-ending desire to learn more! CREATE is a social group for creative teens ages 14-18 ​hosting fun, artsy, and alternative events. CREATE welcomes teens with all creative interests and passions such as music, acting, writing, art, film, gaming, and more. We are a secular group and a safe, loving environment for ALL. THINK is an inclusive group, open to all homeschooling families. Our mission is "to provide a secular environment for homeschool families to share educational resources and camaraderie and to encourage learning in its broadest sense".